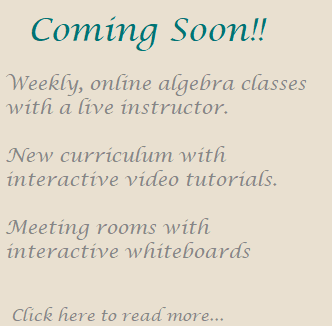 Are you ready to learn how to multiply fractions? 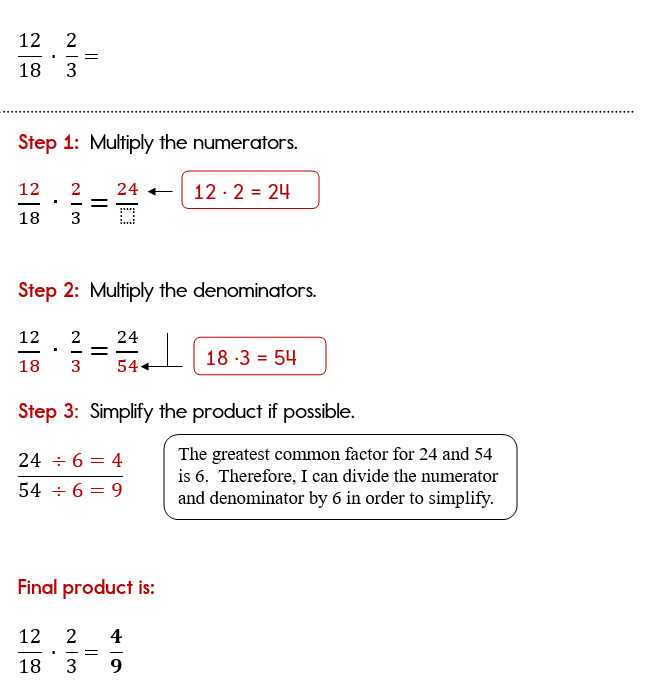 Multiplying fractions is one of the easier operations when working with fractions. Yes, it's true! 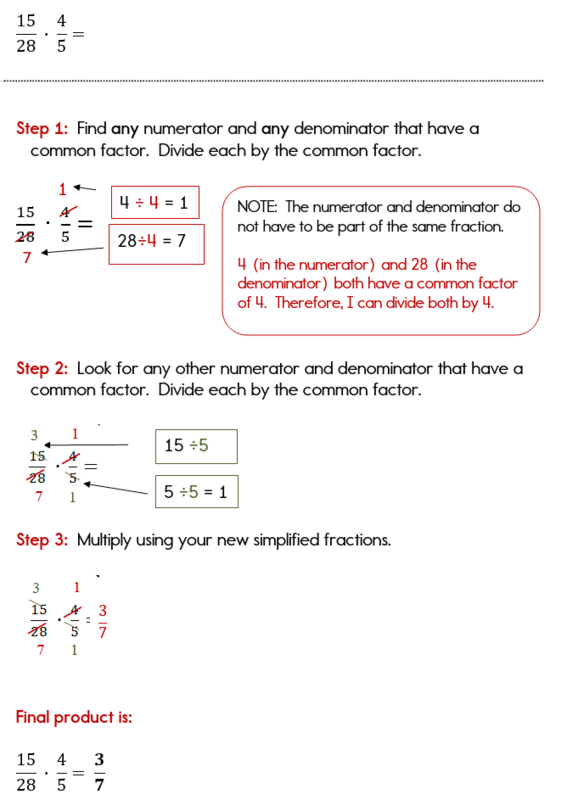 There's no worrying about finding a common denominator, you just have to know your multiplication facts! Now, you will need to know how to simplify fractions, but we'll get to that in a minute. Step 1: Multiply the numerators. 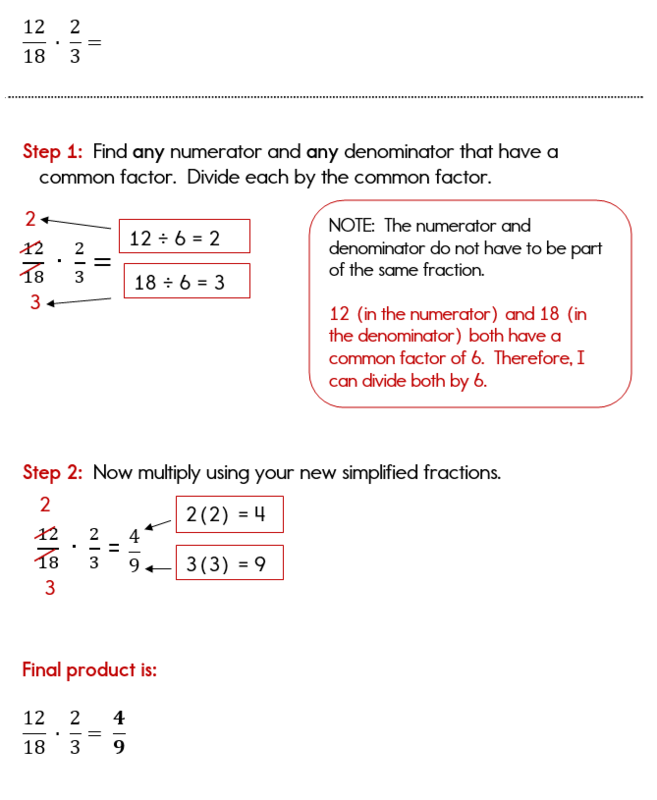 Step 2: Multiply the denominators. Step 3: Simplify the fraction if needed. 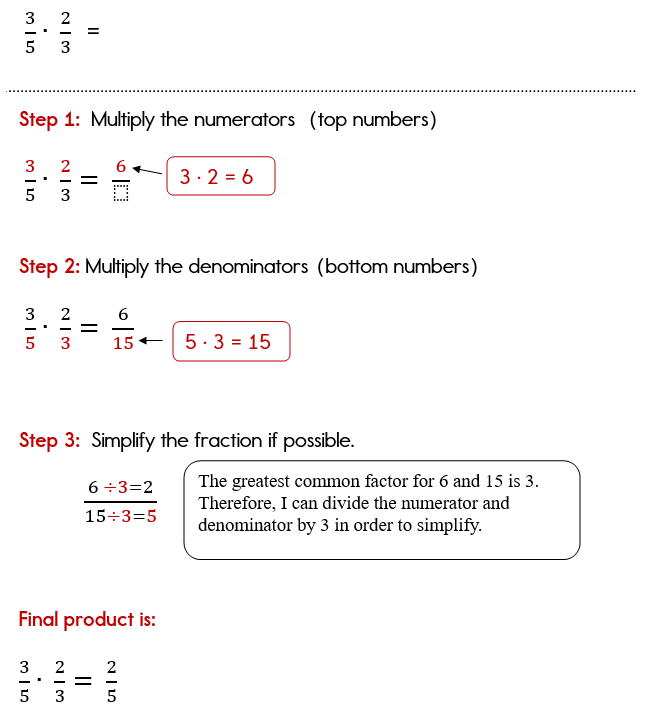 In this example, we will multiply two very simple proper fractions and apply the 3 steps above. 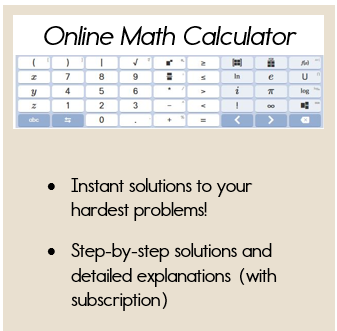 This method works pretty well if the numerator and denominators of your fractions are relatively small. When you start working with larger numbers in the numerator and denominator, then we can simplify within the problem before multiplying and this allow us to not have simplify larger numbers in the end. There are two methods for Example 2. The first problem, we will multiply the fractions following the steps above. In the second problem (which is exactly the same), we will simplify within the problem first, and then multiply. Now let's take a look at one more example where the numerator and denominator that have a common factor are not contained in the same fraction. Remember, the process is the same! Pay careful attention to the first and second steps when multiplying this set of fractions. Since simplifying within the problem can be a little more confusing, take a look at this example on the video for a step-by-step explanation.